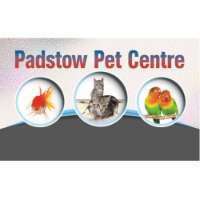 Padstow Pet Centre is a premier pet shop in Padstow that are passionate about providing a relationship for your pets & you that is healthy, stress free, full of love & understanding. Padstow Pet Centre is a premier pet shop in Padstow and has been a family owned business since 1996. We are passionate about providing a relationship for your pets & you that is healthy, stress free, full of love & understanding. We stock live pets such as cats, birds, fish, rabbits, guinea pigs, small animals and we also have a range of Pet Accessories, premium & fresh foods, great package deals. If we don't stock it we can get it. At Padstow Pet Centre, we want our customers to have KNOWLEDGE & UNDERSTANDING of their pets' needs. We will happily help with questions, products, behavioural issues or anything that may concern you or your pet. No discussion is trivial, we are open to other peoples experience & knowledge to better equip us to help you & your pet. We also offer Animal Boarding, we allow you to have peace of mind when you need someone to babysit. We cater for cats, birds, rabbits, guinea pigs, small animals even fish, for great rates & lots of TLC. We aim to provide a happy, healthy lifestyle for you & your pets whether you’re on a budget, new to having a pet or just need some help along the way. Do you know someone who loves animals? We stock a range of GIFTWARE miniatures, collectables, ornaments & homewares which make for great gifts for any animal lover. Looking for the best pet shop in Padstow that sells high-quality pet supplies? Visit Padstow Pet Centre today and try our pet grooming services! At Padstow Pet Centre, we want our customers to have KNOWLEDGE & UNDERSTANDING of their pets' needs.